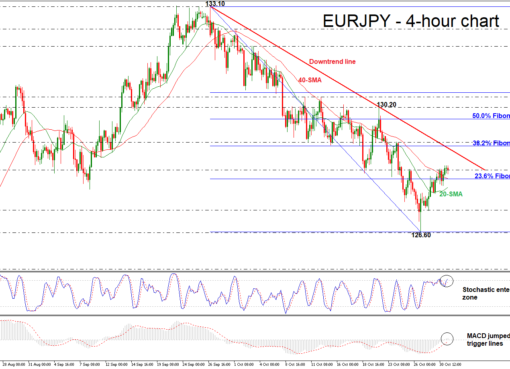 EUR/JPY hits fresh 9-month low; possibly oversold. 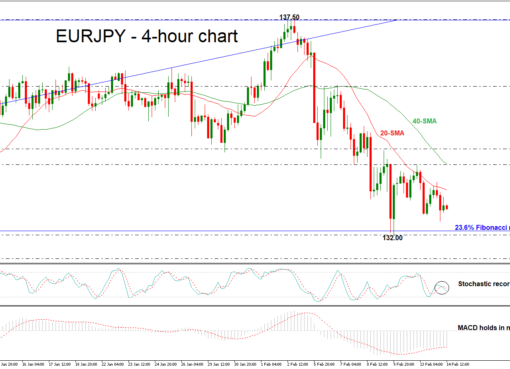 EUR/JPY has declined considerably after posting a three-and-a-half-month high of 133.48 on April 24; it is currently trading 3.6% below that peak. 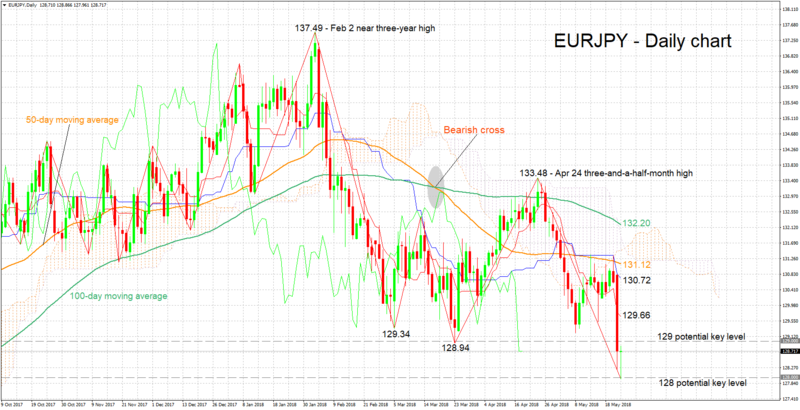 Earlier on Thursday, it touched a fresh nine-month low of 127.96, after losing roughly 190 pips on Wednesday. The Tenkan-Sen line remains below the Kijun-Sen in support of a negative short-term picture for the pair. The Chikou Span, though, may be pointing to an oversold market; a near-term reversal should not be ruled out. Support to further declines could come around the 128 and 127 round figures that may hold psychological significance; the 128 handle was momentarily violated earlier on Thursday before the price bouncing back above it. On the upside, resistance may be met around the 129 handle. Notice that a couple of bottoms from the recent past at 129.34 and 128.94 also lie close to this level. Further above, the region around the current level of the Tenkan-Sen at 129.66 could also act as a barrier to price gains. 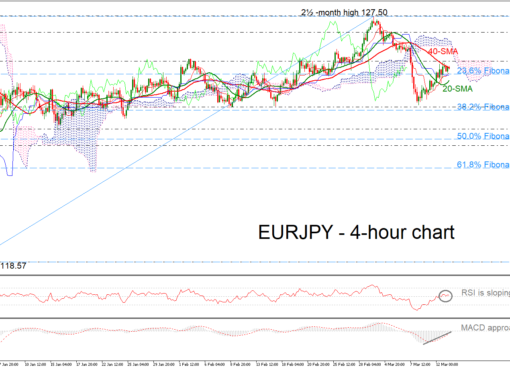 The medium-term picture is looking predominantly bearish at the moment: price action is taking place below the 50- and 100-day moving average lines, as well as below the Ichimoku cloud. 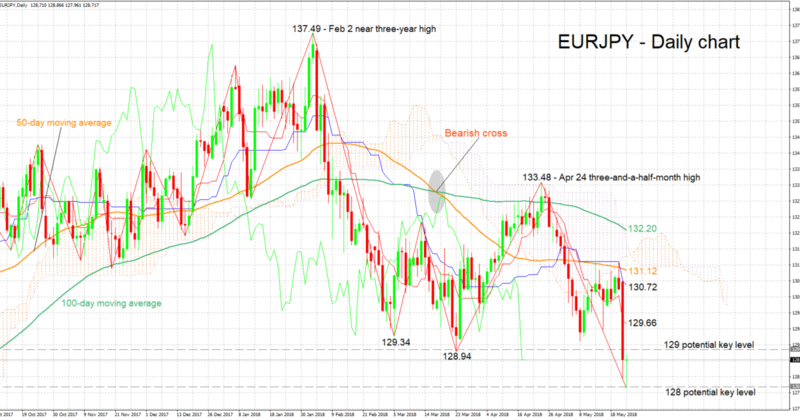 Moreover, a bearish cross was recorded around mid-March when the 50-day MA moved below the 100-day one. Overall, both the short- and medium-term outlooks are looking negative, though there are some signs hinting to a potentially oversold market in the near-term. Emerging markets rattled by strong dollar; Will the Fed take note?